I'm feeling pretty in pink. My daughter wanted to make this quilt. So I felt I should give a stern little sewing lecture before she began. I covered perfect seam allowances, intersections and pressing. Fully expecting (& hoping) she would bow out. "That's just fine, sometimes that's as close as you can get." "Yes, it looks really good." "You want to hang it where?" "You want to save it for your children?" I want it in MY room. Carrie (Miss Rosie) talks in many of her patterns about the Angler for sewing diagonal lines. 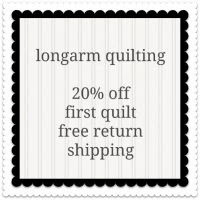 You can use it for next month's pattern too. You are welcome to a kit, whether you are a part of the 'A Year of Schnibbles' challenge or not. I checked with Sinta, she said you can still join in. There are fun giveaways each month & a giveaway at the end for those that have done all of the monthly Schnibbles. Kits, the Angler 2 and patterns are available on eBay or etsy. Give it your Sunday Best! Oh the choices...so hard to decide. THAT is gorgeous. Good job Bella!! I've always loved a bow tie! 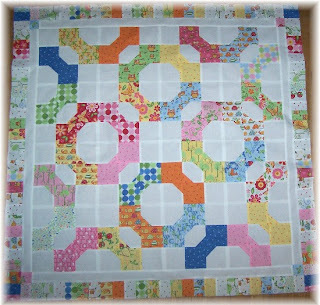 Love your version of this quilt! Thanks once again for really helping us out with this! I love your samples of Sunday Best! You can already see that it looks good in every color grouping! Oh my and here I was so uninspired! Corrie ~ Please tell her she did such a beautiful job!!! She's just like you...talent running out your ears!!! I loved your choice of props in photography, makes it simply adorable. 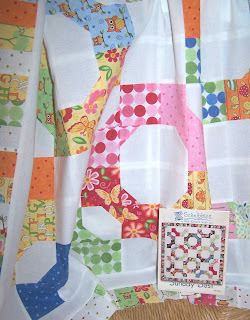 Love your versions of this quilt, very helpful to choose fabrics. I've got Sunday Best and hope to get n sync with everybody participating in the Year of Schnibbles this month! Seems I'm always making a different one than all else. Your daughter's is wonderful!! 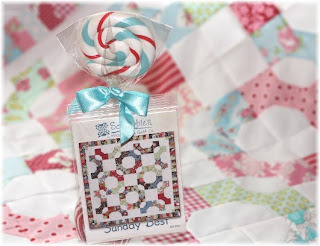 Love, love, love your Sunday Best quilts Corrie (especially the pink)! Great job! I just finished making this quilt! I loved it! I am having a girl in June and It turned out to be a beautiful baby quilt!